Board-certified plastic surgeon Dr. Lee uses his artistic skill to draw a literal picture of what to expect from plastic surgery. A proud perfectionist, he ensures that you fully understand the procedure and have realistic expectations of the results. Dr. Lee personally answers your questions and concerns by phone or online – he even conducts exams via Skype! Confidence and beauty are connected. 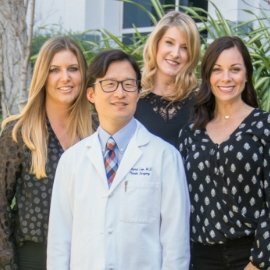 Dr. Richard Lee and his team believe that plastic surgery is most beneficial when it enhances each patient’s natural beauty. Learn how our patient-focused approach to plastic surgery can benefit you. Please call 949-518-3340 to schedule your complimentary consultation at our modern and comfortable office in Newport Beach, California.